I've been pretty good about cutting down on my spending but sometimes I just have to stop by the thrift store. It usually happens after I'm reading about all the great things other bloggers are finding. That's when I found this. I think it's a chocolate pot? right? It was more than I usually spend at a thrift store, $19.99 but I think it's worth more than that. It' s really beautiful, these pictures do not show the detail as much as I would like. Awhile back, I ordered a book from the book club I belong to (Home Style Books) and this journal came with it. I've been using it to keep track of all my thrift store purchases. Someday I may start selling on eBay or maybe at the flea market and if I decide to sell some of my things, I'll know how much I paid for them. Oh Cindy, what a wonderful find! Chocolate pots are not that common of a find - I think your $19.99 was well worth paying for it. So beautiful! 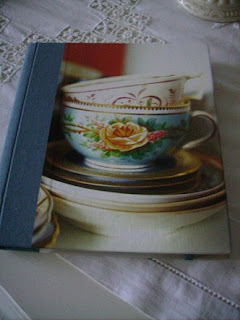 I'm a member of the Home Style Book Club too, and have the same adorable journal. 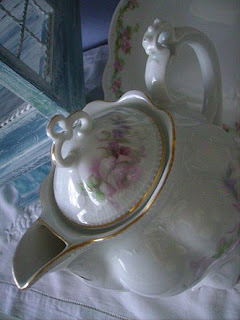 I love teacups, but it's so pretty that I've not decided what kind of journal to use it for. I am a multiple journal sort of girl. I have different themes for each one. LOL Kind of silly I guess, but I also like to coordinate the cover to my theme. I actually said aloud, "how cute"
It was worth it. Keeping track of your purchases is a good idea, for future resale. 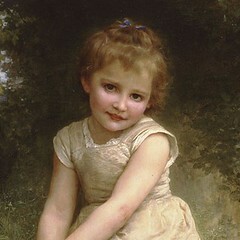 I agree with everyone... a gorgeous piece. I belong to Home style Book Club too, have for awhile, but I never got the journal. Great idea recording your purchase. You found that at a thrift shop??? Wow!!! It's just beautiful! It looks like a chocolate pot. I'm sure you've looked at ebay to see what they're going for. That's a great idea to keep track of your thrift store purchases. Thank you for the info on where to look for an applique for my headboard - there's so much to choose from! What a great find! It looks stunning! And $19.99 is a really good deal. Believe me, here in Holland you would pay a lot more! 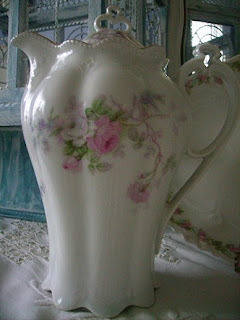 How do you find such lovely items? I think I need lessons. The chocolate pot is beautiful. 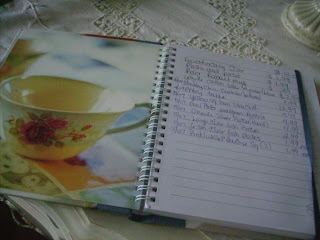 I love the journal and I'm checking out the Home Style Book Club too. I've never heard of it. Beautiful find! You are smart to keep a list of your purchases, too...you would do very well selling. You have a great eye! I love coming over here. It's so PRETTY! I have two haviland chocolate pots and treasure both of them dearly- your finding one for 19.99 was a great success at the thrift store. Its lovely, too. Congrats! It's a good idea to keep track of what you've paid for things. I haven't done that and wish I had. How can you tell that what you bought is a chocolate pot? Is it by the shape? WOW, I can't believe this went through! I've been having a hard time posting on your blog. Now how could you pass it up! It looks like it belongs with you. Really pretty. That is a definite score! 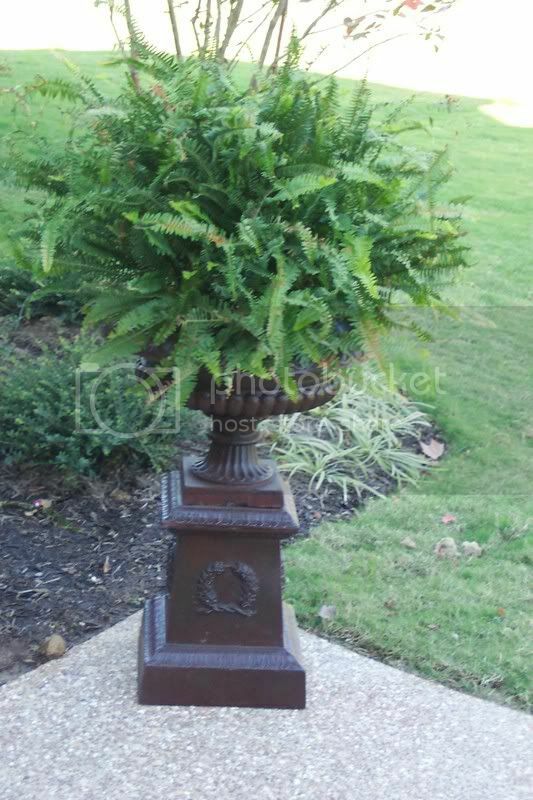 The chocolate pot is going to look beautiful in your home. A chocolat pot it is....sold many of those in the last 10 years....what a steal...is there a mark on the bottom? I could have never left it behind!!! What a beautiful find. You lucky girl!! Yep, it's definitely a chocolate pot, and at the $19.99 you did very well. Also given the pattern, you will likely have a very good chance of finding similarly patterned cups over time. There's just nothing like hearing about other people's treasures.